Here is your promised reminder for the next FB Live with me and #BFFmel scheduled for this coming Monday, April 9, at 10 am U.S. Central Standard Time (9 am PST, 10 am MT, 12pm EST, 6 am Auckland, 5 pm UK). We will be discussing reflexology and taking your questions to answer live, just like before. We will be going live on the NAILS Magazine page. If you missed the FB Live on feet that we did last month, you can find the entire broadcast on my YouTube channel. 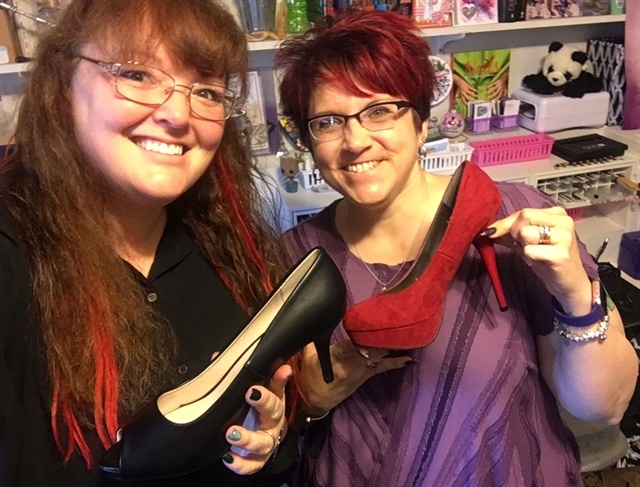 The FB Live in March was all about shoes, feet, and how to live with them. Monday we plan to delve into reflexology, how it differs from massage, and what it entails. Mel has some great resources so you will want to be able to take notes during the broadcast. If you won’t be able to make the broadcast yet have some questions, please leave them in the comments section below this post so I can grab them to answer on air! Please make sure you follow and subscribe to both of us on Facebook as well as Instagram to see the latest on what we get up to and the nails and ideas we have to share with all of you! We also love to see questions, helpful comments for others, and photos of what you’ve done with your #naileyes. Crowdsourcing: How do you deal with negative comments on your social media?